Why Vajdahunyad Castle in Budapest Is a Beautiful Landmark? Home Hungary Why Vajdahunyad Castle in Budapest Is a Beautiful Landmark? In the heart of the Hungarian capital is a medieval castle that at first glance you would think dates back thousands of years. 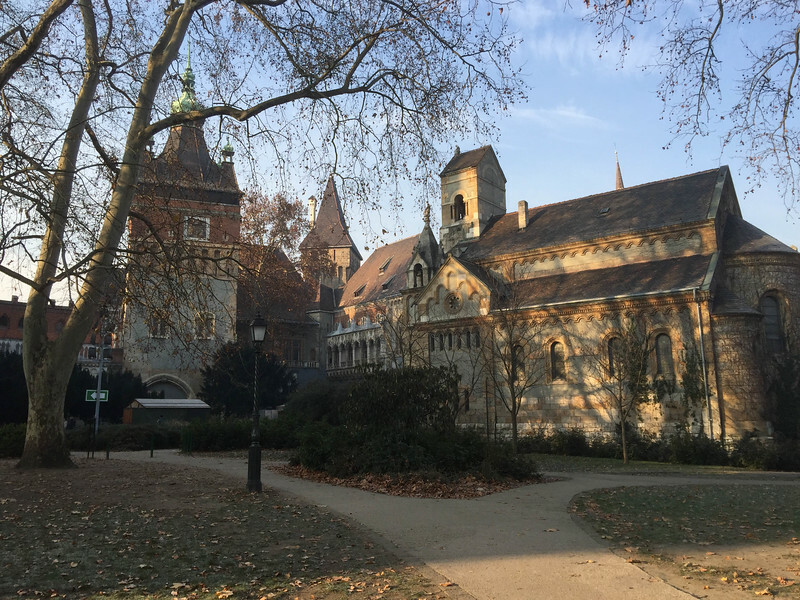 Vajdahunyad Castle in Budapest is located in City Park and after visiting here on our recent trip to Hungary, it is certainly an attraction you cannot afford to miss. On a cold, eerily quiet New Year’s Day, we headed to City Park in search of this wonderfully named castle. The conditions were perfect for exploring such a medieval looking castle. 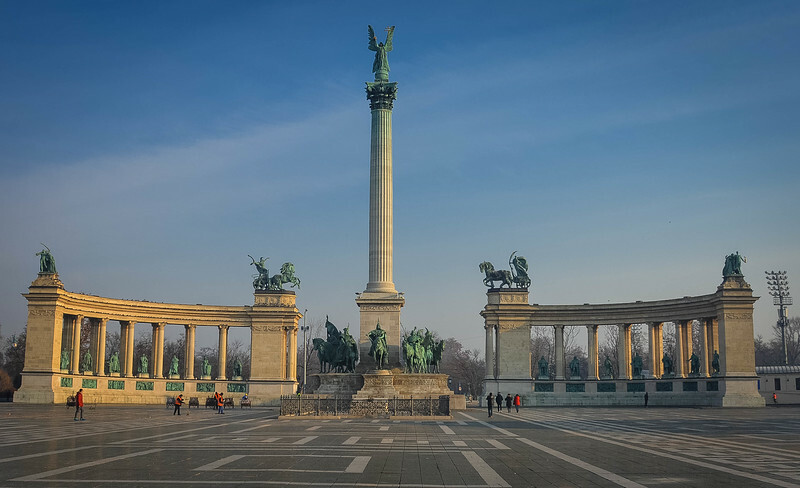 The entrance to City Park known as Heroes Square is gorgeous as it reflects the various Hungarian leaders throughout history. But the real highlight in what you may first consider a quiet park is the unequivocally stunning Vajdahunyad Castle! 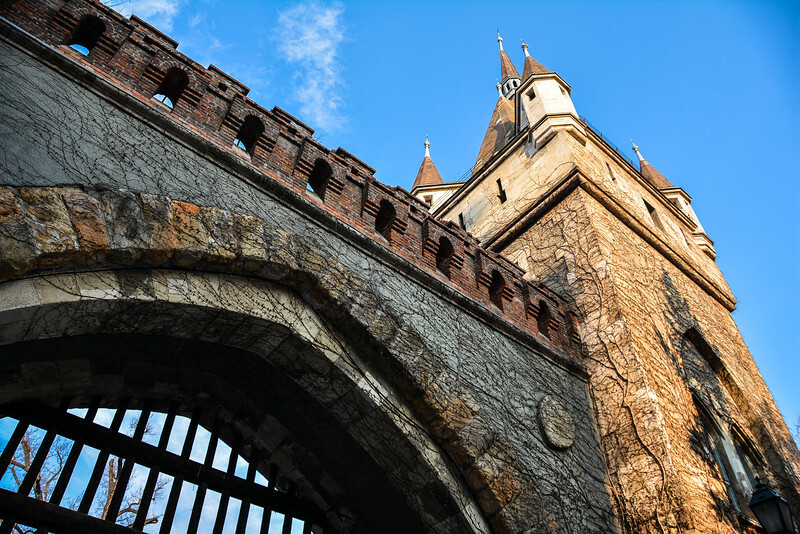 Let’s take a look at the history, architecture and iconography of this gorgeous Hungarian castle. The beauty of Vajdahunyad Castle is that you can experience the real beauty of this castle for FREE, 24 hours a day. That’s right, entry inside the courtyard is free of charge and allows visitors the opportunity to stroll around the grounds and get a close up look at Alpár’s ingenious design. There is a small admission fee associated with entering the castle, so if you are interested in learning more about the history and interior of this castle, check out the following admission prices and opening hours of the castle (we recommend that you check the Vajdahunyad Castle website for up-to-date information as these prices/hours are always subject to change at the time of writing this article). 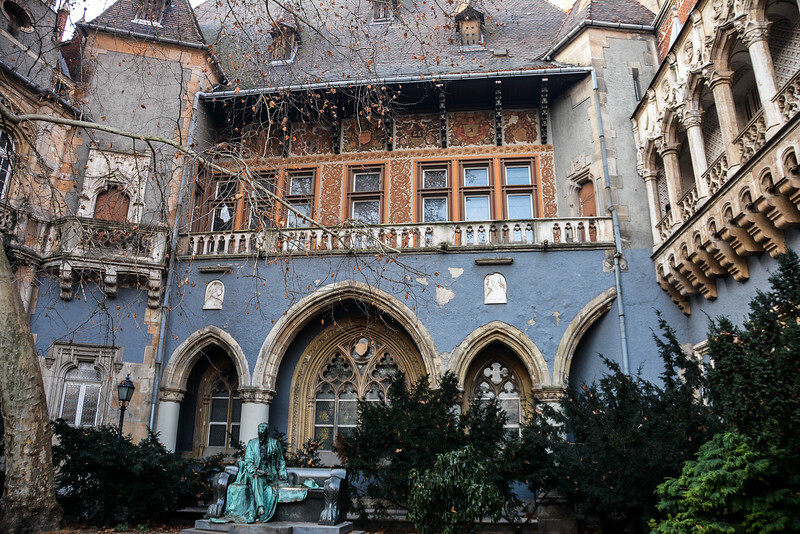 The history of Vajdahunyad Castle is actually more recent than you may think. 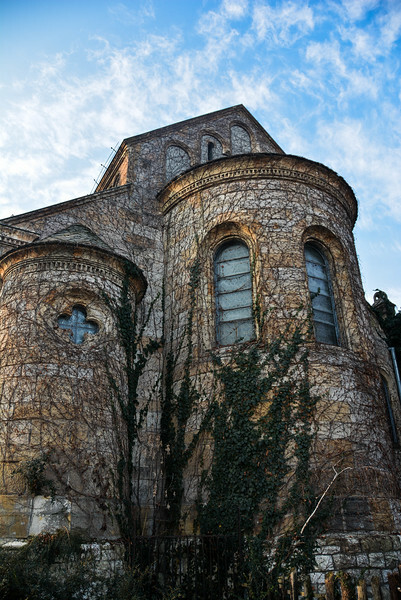 Construction started on this beautiful medieval masterpiece in the late 19th century and was finished in 1896. The original construction of the castle was made out of wood and cardboard, a unique feature which of course didn’t stand the test of time. In the early 20th century, the Budapest local government decided to make Vajdahunyad Castle a more permanent structure using brick and stone and was completed in 1908. 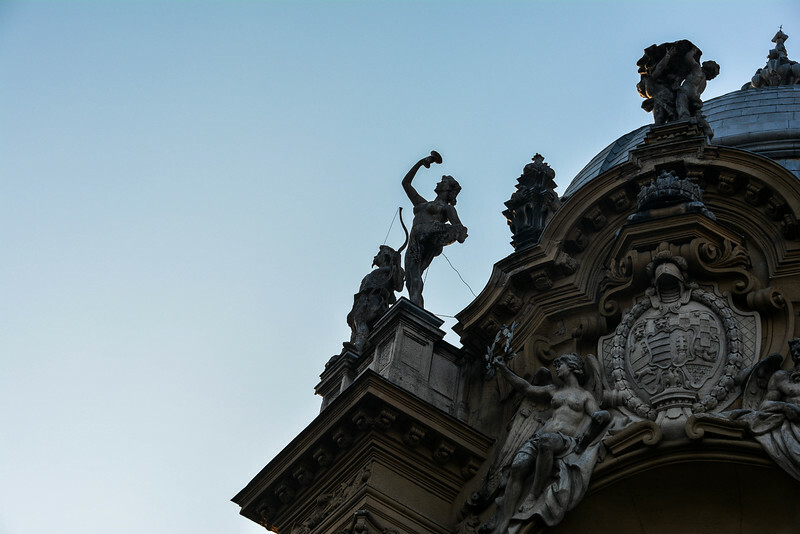 The original castle was designed by architect Ignác Alpár and even during the reconstruction years, every effort was made to maintain the design of this iconic Hungarian architect. 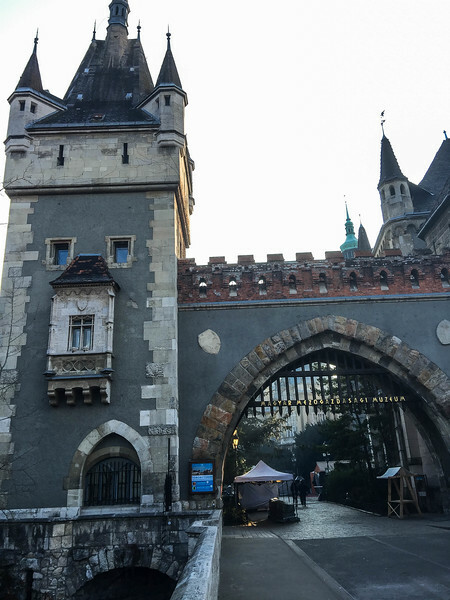 The castle was constructed to recognize the 1000th birthday of the Hungarian State in 1896 for the Millennial Exhibition, along with the Millennium Monument in Heroes Square and Fisherman’s Bastion on the Buda Castle hill that we later explored. However, there is an ironic twist to this story. Delays caused the construction of the castle to actually celebrate the 1001th birthday because history suggests that Hungary was founded in 895AD. Of course, when Vajdahunyad Castle was finally completed, the one-year delay certainly didn’t prevent mass celebrations here! You may be wondering what is so spectacular and special about Vajdahunyad Castle? Well, aside from the beautiful exterior and overall appearance of the castle which we will explore later, the overall design has an inherent meaning which Alpár intended. 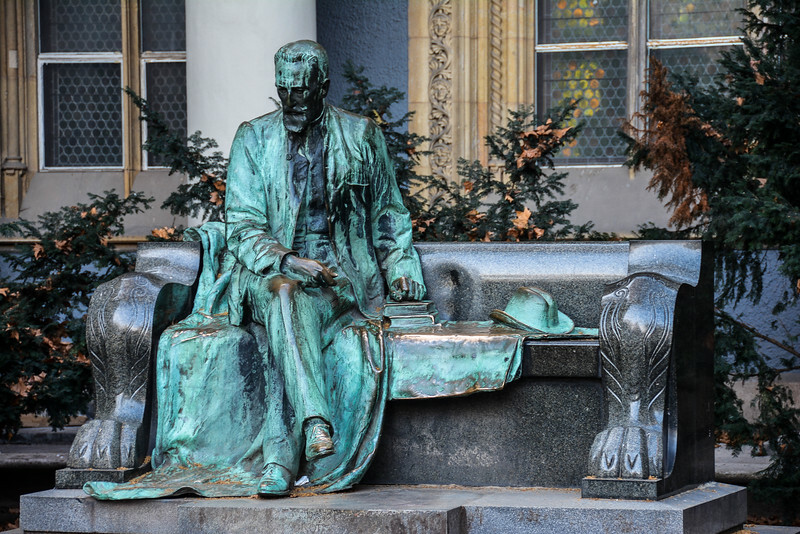 His design was supposed to mimic each architectural style in Hungarian history. Did he succeed? I think it’s fair to say that there is a very distinctive look about this castle and so many different aspects that reflect the various architectural eras that Hungary has experienced. From Romanesque to Gothic to Baroque, Vajdahunyad Castle features a number of components in the architectural design that reflect each of these styles. As you begin exploring the grounds, it’s possible that you will notice more artistic styles in the composition of the castle. The medieval feel of this castle dates back to the 11th-century Romanesque era that was prevalent until the end of the 13th century. Vajdahunyad Castle reflects this era through ‘The Church of Jak’ which is an iconic recreation of a beautiful basilica located in the western part of Hungary. 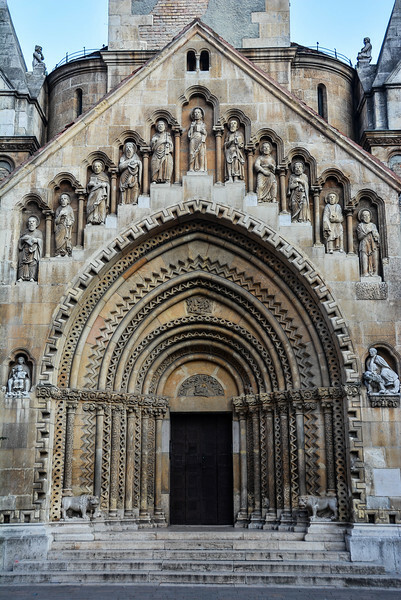 The intricate details of the entrance to this church are a typical reflection on Romanesque architecture but perhaps the overall facade and medieval style cloister are more telling examples of how Hungarian architecture was portrayed during the Middle Ages. Possibly the most beautiful feature of Vajdahunyad Castle are the gothic inspired gates leading to the courtyard. A couple of years ago we received an image of these gorgeous gates and at the time, we had never even heard of this castle in Budapest. Immediately we knew that we had to see this for ourselves! If you are convinced that all of this architecture portrays a castle reflecting medieval times, perhaps you will be surprised to hear that the gorgeous Baroque era is also apparent throughout the castle. Depicting some of Hungary’s most beautiful palaces, Vajdahunyad Castle exquisitely takes some of the most breathtaking elements and ideas of these prestigious landmarks and transforms them into the design features you see in the castle today. 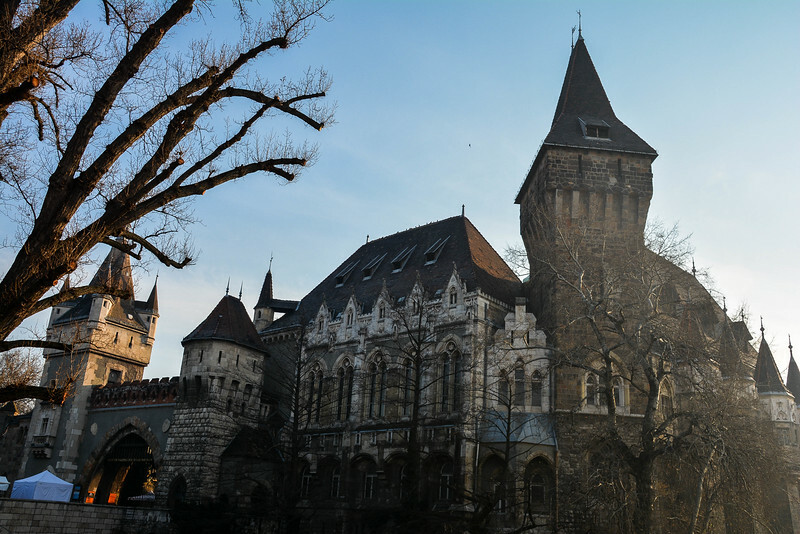 Did you know that the author of Count Dracula, Bram Stoker, may well have been inspired by Vajdahunyad Castle? It’s feasible that Stoker may have visited this castle prior to writing the Dracula novels. Bram Stoker pictured his Dracula living in the castle of Vajdahunyad, or maybe a similar castle somewhere in the dark and stark hills of Transylvania. However, a more important aspect that suggests the above question is true is that his focus on the main character was a reflection of Vlad the Impaler, the 15th-century Transylvanian prince who was in fact imprisoned inside Vajdahunyad Castle for a period of time. Are you convinced that this is true? 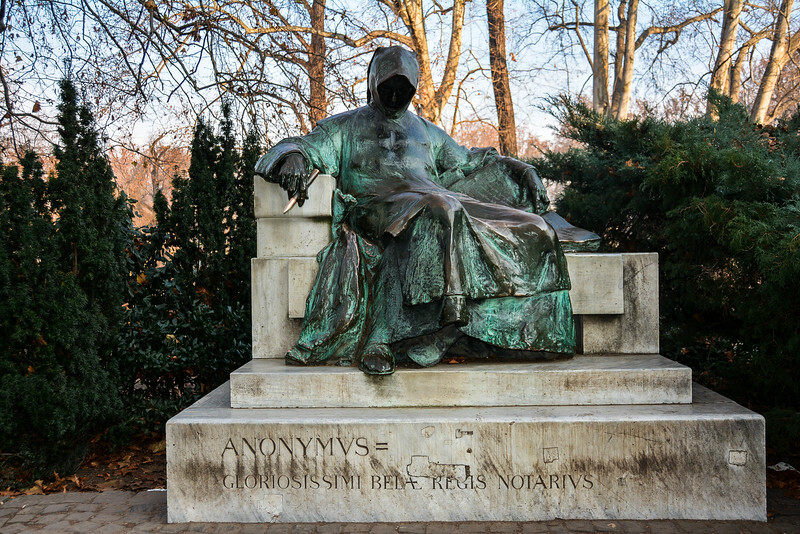 Regardless of your stance here, it certainly makes the visit to Vajdahunyad Castle in Budapest even more interesting as you search for clues to support this theory. 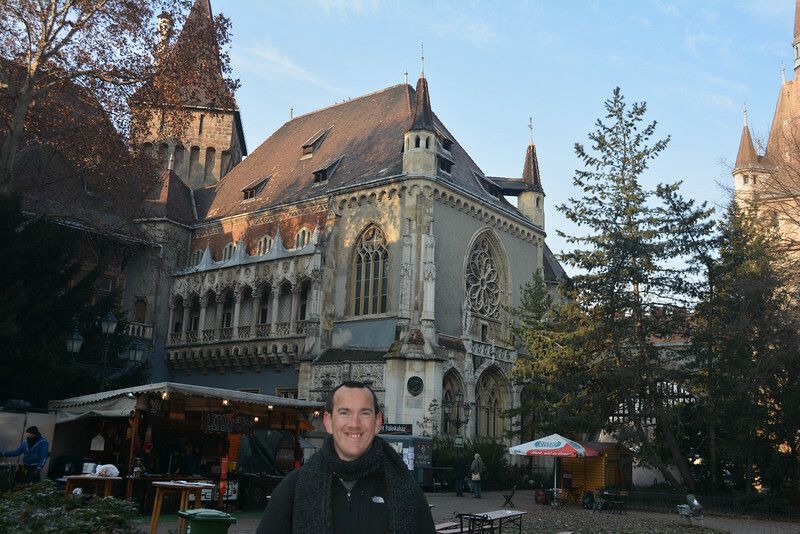 If you haven’t visited Hungary, it’s plausible that you may never have heard of Vajdahunyad Castle in Budapest. 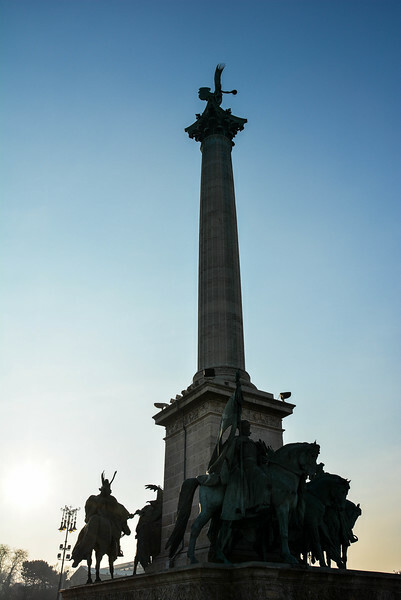 But once you visit the Hungarian capital, you would be hard pressed to avoid this gorgeous landmark because it really is worth exploring. We were fortunate to visit here on New Year’s Day when the grounds were relatively quiet and we were able to really explore everything this castle has to offer. Unfortunately, the castle was closed but a return trip to visit the interior is certainly something we can look forward to. 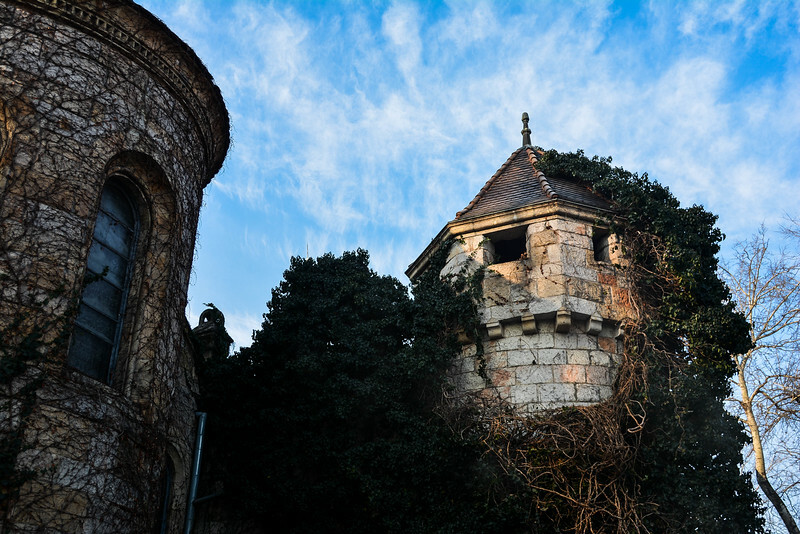 Whether you believe that Bram Stoker was inspired by Vajdahunyad to create the infamous Count Dracula novels, just contemplating this as you walk around the medieval style grounds will make this an even more intriguing experience. 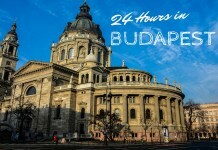 Budapest in One Day – Where to Go and What to See? 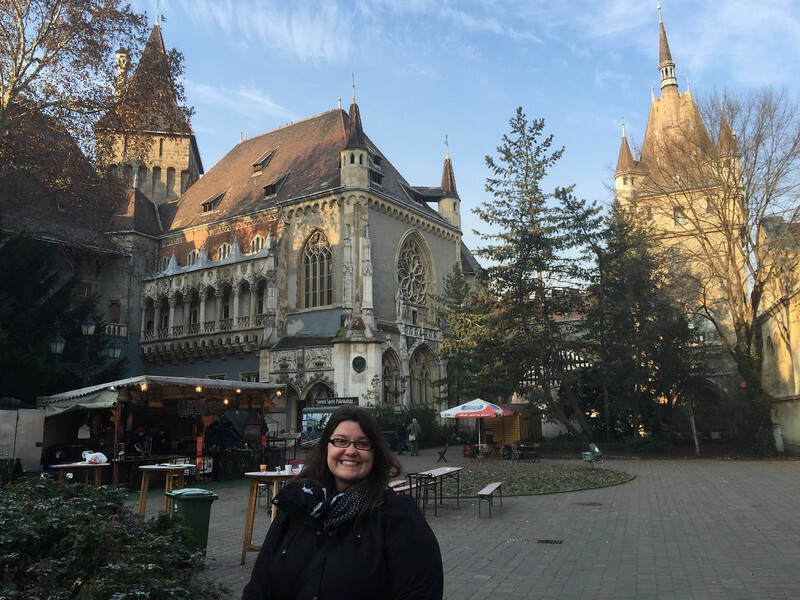 This post is PERFECTLY timed for my trip to Budapest this weekend! 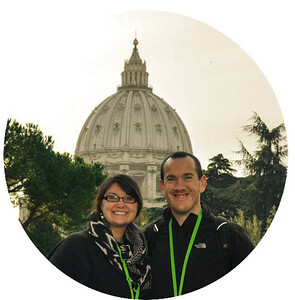 Hope you have a great time in Budapest, we are envious that you are heading there! It’s probably going to be a great time of the year to visit, certainly a lot warmer than when we were there on New Year’s Eve.